Photo credits: (Top, L-R) Marie Oehlerking-Read, Texas Main Street Project Designer; Ina McDowell, Main Street Texarkana Executive Director; Lindsey Wallace, Sr. Manager, Special Projects at the National Main Street Center (NMSC); Mayor Bob Bruggeman of Texarkana, Texas; Mayor Ruth Penney Bell of Texarkana, Arkansas; Mary Anthony; Gillian Lang; Patrice Frey, President and CEO of NMSC; and Debra Drescher, Texas Main Street State Coordinator. (Bottom, L-R) Tracy Cox, San Augustine Main Street Executive Director; Leroy Hughes, San Augustine Mayor; Patrice Frey, NMSC; Mary Anthony, 1772 Foundation Executive Director; Gillian Lang, 1772 Foundation Program Officer; and Lindsey Wallace, Sr. Special Projects (NMSC). Last month, the 1772 Foundation, Inc., and the National Main Street Center visited San Augustine and Texarkana, Texas -- the two pilot communities participating in our first Façade Improvement Loan Program. Launched in 2016, this program has provided two Texas communities $80,000 in no-interest loans and grants for façade improvement projects in Main Street district buildings. Together with the Texas Main Street, San Augustine Main Street, and Main Street Texarkana, we toured the façade improvement projects, and met with business owners and local officials. 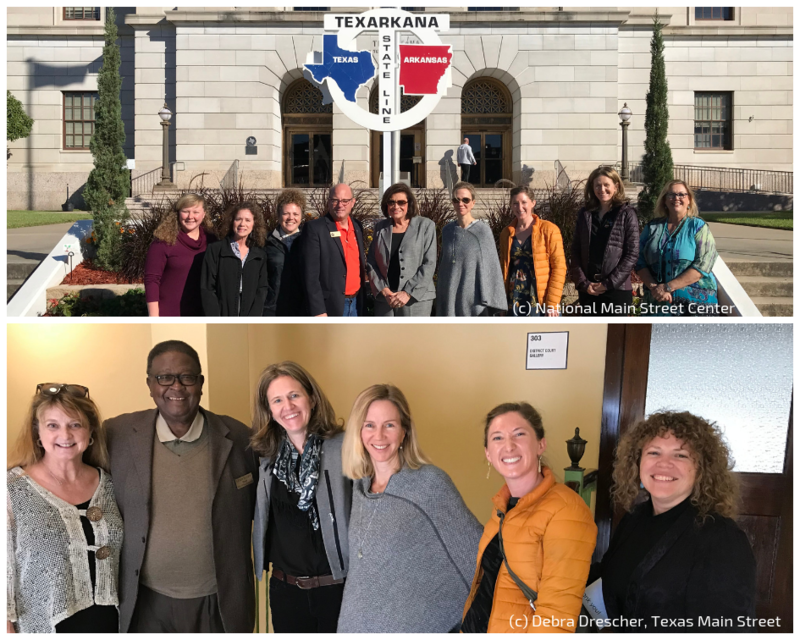 Big thanks to the 1772 Foundation, Inc. for making the trip with us, Debra Drescher and Marie Oehlerking-Read of Texas Main Street, Tracy Cox of Main Street San Augustine, and Ina McDowell of Main Street Texarkana for helping us celebrate all the great work happening in Texas.